Working on July 3, 2018. Coupon working on May 16, 2018. SheIn is an online retail store selling fashionable women’s apparel and accessories. Established in 2008 under the name Sheinside, it has become a leading e-commerce company. It rebranded to SheIn in 2015 for a more recognizable and memorable name. SheIn is owned by Guangzhou Miu Lan Rui Trade Co., Ltd. It is based in China but has warehouses in both Europe and the United States. SheIn sells trendy dresses for all occasions, as well as more casual attire like t-shirts and pants. If you’re looking for clothes for sports or swimming, you can find affordable choices on SheIn’s website. It also offers accessories that go with the clothes such as bags, jewelry, and shoes. SheIn caters to the fashion forward and trendy woman between the ages of 16 and 35. The company has an exclusive design team to keep their products fresh and aligned with ever-changing fashion trends. SheIn also prides itself in having some of the lowest prices in the entire industry. Now, you can follow the hottest styles without breaking the bank. Follow SheIn on Facebook, Twitter, Pinterest, Instagram, and Tumblr. The store usually announces sales, promos, and contests it is currently having there. Check out the newest products, fashion tips, and advice that may prove useful the next time you make an order. SheIn announces its current sales and promos on its home page, so they are quite easy to find. Visit the company’s sale page for even bigger savings. The store also conducts flash sales, where selected items go on sale for a limited time, so check that out as well. Most importantly, visit this page before you shop as we have the best SheIn coupon codes and promotions to help you save. 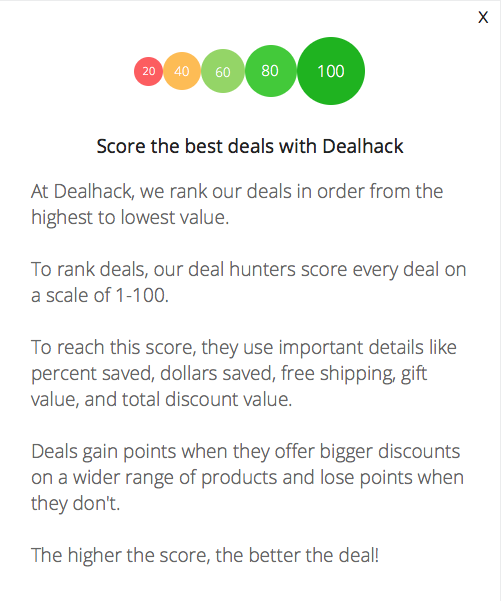 If you are anything like us here at Dealhack, you love a good deal. If you’re reading this you have come to the right place for the best SheIn coupons. Some of our offers will come with a coupon code. For offers with a code, apply the code at checkout to activate the discount. You might need to spend a minimum amount for the offer to qualify for the discount. SheIn has an extensive FAQ page that you can browse to find answers to most of your concerns. Still need more help? Send a message via the contact us page. For any pre-sale issues, you can chat with an online operator who will be more than willing to assist you. For any after-sales problem, you can send a Ticket to Customer Service. They will get back to you within 24 hours. Visit the company’s sale page for amazing discounts. Watch out for flash sales, where selected items go on sale for a limited time. Register at the online store and get 40% off on your first order. Download the mobile app for iOS or Android and be able to shop while even on the go. Having trouble pinning down the look you want? Go to the Style Gallery and get inspired by what you see there. Join the Shein Bonus Point Program. Earn points as you shop. The points you accumulate can be used to get up to 70% off on a future order. Take advantage of free shipping! Standard Delivery is free for all orders. Expedited and express shipping options are available for an additional charge. What is Today’s Best SheIn Promo Code? The best SheIn promo code right now is EARTH30. This code is for 'Earth Day Sale - $30 off Orders of $189+ Orders'. Copy it and enter it on the SheIn checkout page to use it. Shein ships anywhere in the U.S. It also delivers internationally. For U.S. shipping, three options are available. Get standard, expedited, and express delivery. Standard Delivery is free for all orders and usually takes 6 to 8 business days to arrive. Expedited, express, and International shipping charges will be calculated at checkout. Items purchased from Shein may be returned within 30 days from receipt. Items returned may be exchanged or refunded. For assistance, contact a Shein Customer Care Representative through the ticket system. Remember to state the reason for returning the item. Make sure the item is back in its original packaging and drop it off at the local post office. The items returned must be unused, unaltered, and undamaged. Swimsuits, accessories, and lingerie are not covered by the return policy.